Tara Costigan murder: New, shocking details revealed. Tara Costigan struck down with axe as she fled 'pure evil' ex-partner, sister says. Rikki Schmidt’s memories of the day her sister, Tara Costigan, was murdered with an axe are still clear. It was February 2015 and Tara’s ex-partner Marcus Rappel burst into the home they had shared in a violent rage. “He was just screaming. He was yelling. He wasn’t saying anything at all,” Ms Schmidt, who was injured in the attack, told 7.30. “He didn’t even shut his door or shut off his car. “When I saw his face I knew that he was a completely different person. The violent murder shocked Australia. Just seven days earlier Ms Costigan had given birth to a baby daughter, Ayla. Rappel was the father, but the day before she was killed she took out a domestic violence order (DVO) against him, having seen his behaviour became increasingly threatening. Ms Costigan’s grandmother, Margaret Costigan, said Tara had become increasingly isolated from the family in the months preceding her death. “I could see it was … leading to a type of verbal domestic violence,” she said. “She wasn’t messaging me, she wasn’t ringing me, she wasn’t coming to see me. A court this week heard Rappel had a history of threatening girlfriends. Another former partner detailed how he had allegedly told her he would kill any woman who took out a DVO against him. True to his word, the day he was served with Ms Costigan’s DVO he drove to Bunnings, bought an axe and drove to her home. Ms Costigan was breastfeeding their infant daughter when he burst in. “I heard a smash or a window or something,” Ms Schmidt told 7.30. Ms Costigan also ran towards Ms Schmidt, cradling Ayla. “And then I seen Marcus behind her,” Ms Schmidt said. Ms Costigan fell to the ground, a deep wound in the back of her neck. The axe severed a tendon in Ms Schmidt’s finger. 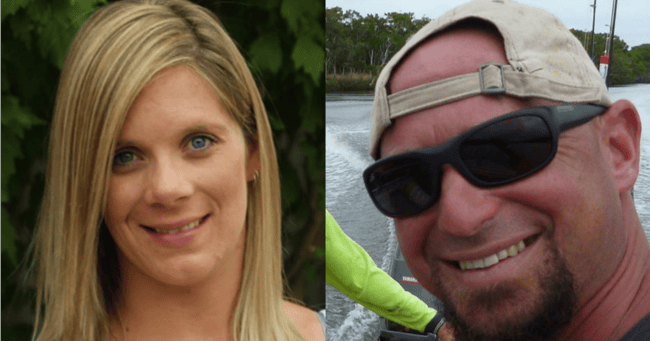 Ms Schmidt’s partner Bryce Bullman then tackled Rappel and drew him into another room, while Ms Schmidt made a frenzied call to emergency services. She tried to staunch the bleeding from Tara’s wounds with a towel, but she soon realised her sister was dying. She broke down as she recalled the awful moment. “At one point I told her that her boys were fine and that they were safe and that she didn’t have to worry about them because I’d look after them,” she said. This week Marcus Rappel pleaded guilty to grievous bodily harm of Ms Schmidt. At an earlier hearing he had pleaded guilty to Ms Costigan’s murder. Ms Costigan’s family are determined that something positive comes from her death. They have established the Tara Costigan Foundation to campaign against domestic violence and fund the establishment of Tara’s Angels, a new social work service to assist women and children leaving violent relationships. Speaking outside court on Tuesday, Ms Costigan’s uncle, Michael Costigan, who is CEO of the foundation, said nothing short of a full societal change was needed. “I’ve seen the faults in the system, the faults in the judicial, the policing … we can say all those sorts of things about the system, but it’s us that does this stuff,” he said. Ms Schmidt said she believed her sister would want her legacy to be simple. “To stop domestic violence,” Ms Schmidt said.